A fascinating analysis that blends world history, Western religion, and Eastern mysticism, Quest for the Kingdom by Dr. John M. Newman examines the “kingdom of God” as the historical Jesus describes it. The book’s premise holds that Jesus’ teachings include specific instructions for the quest to find and live in God’s kingdom before death. This powerful work favors fact, and readers can revel in Jesus’ authentic teachings that describe the quest both as internal spiritual cultivation and the way to live in the world. 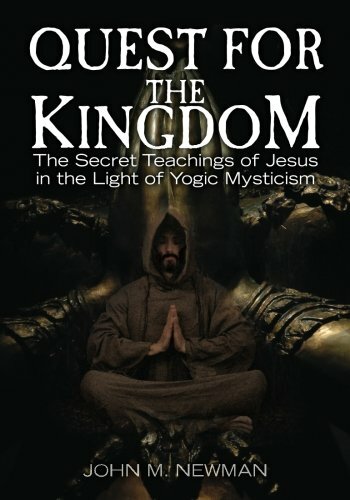 It is rare for a book on Christian theology to break new ground, but Newman does this on two fronts: the striking parallel of Jesus’ teachings with the ancient mysticism of yoga and the equally fascinating parallel between Jesus’ healing techniques and the practices of modern psychotherapists like Freud. Newman is meticulous in drawing these original and unique parallels and they lift this work’s premise to a non-generic level that speaks to several audiences, an accomplishment that sets the work apart from the pack. In twenty accessible and engaging chapters like “The Kingdom of God,” “The War of the Houses,” “The Kingdom Is Like a Woman,” “Spiritual Cultivation,” and “The Exorcisms and Healings of Jesus,” the reader watches Jesus at work, healing and offering his parables at a communal meal. In addition to elucidating the path to the kingdom that Jesus shared with his followers, Newman explains and illustrates the voice print of Jesus—his sage rhetorical strategies and distinctive discourse. Newman brings Jesus’ parables to life with a penetrating analysis that enables the reader to experience Jesus’ mastery of metaphor and management of the unconscious trajectory of thought in the minds of his listeners. A commanding new breakthrough in the understanding of the teachings and works of Jesus, this book is a must-read for academics and laypersons alike.